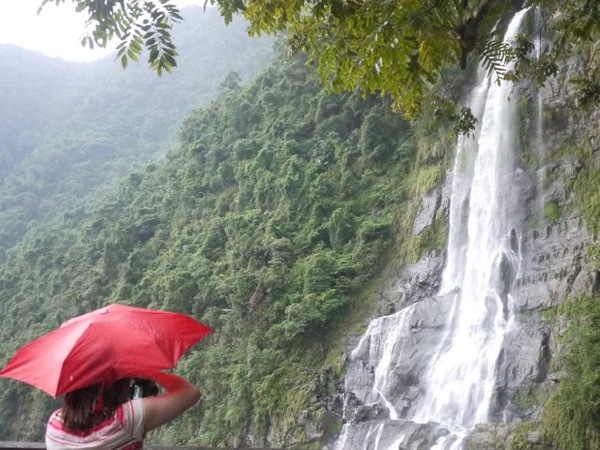 It is my pleasure to show you the beauty of Taiwan - as a licensed English guide appointed by the Tourism Bureau. After returning from my graduate study in Arizona in the USA, I've been regularly traveling the world on planes and cruise ships. 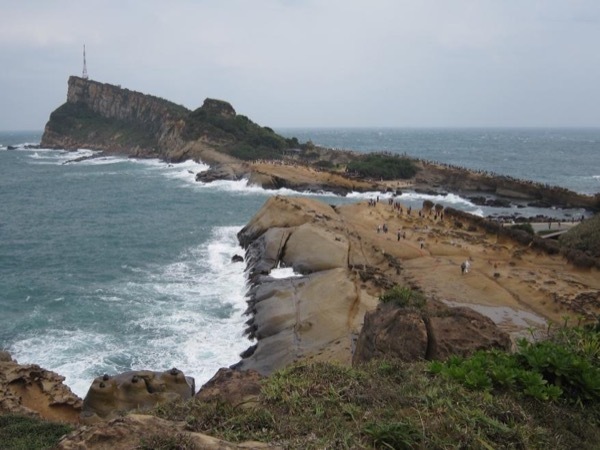 Living in the port city of Keelung, I'll take you out of the cruise and tourist bubble and beyond the guidebook texts to experience nearby Taipei, the North Coast, and the real Taiwan. You will be amazed by the rich history and geography of this green subtropical island; seen by you, me and usually along with my Dutch husband, a resident of Southeast Asia and Taiwan since 1992. The Portuguese put the island on their maps as Ilha Formosa, "the beautiful island", because its lush tropical forests on the central mountain range are visible from the sea. Taiwan's first contact with the West came with the Dutch 'VOC' East India Company traders settling in Tainan in Southern Taiwan in 1624, followed by the Spanish in Tamsui and Keelung in the North in 1626. 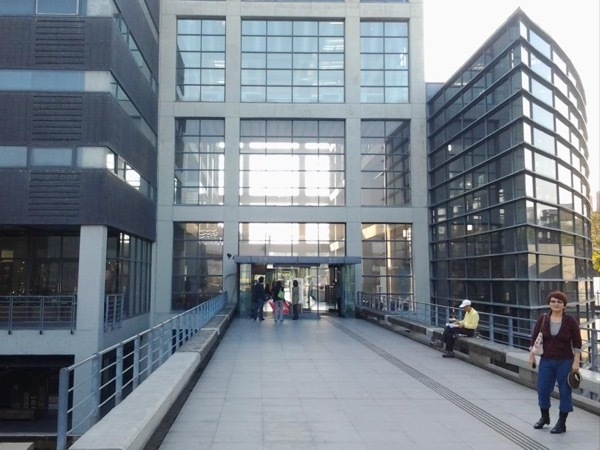 Traces of Dutch, Spanish, French, German, British, Canadian, American and half a century of colonial Japanese influence from 1895-1945 still exist. 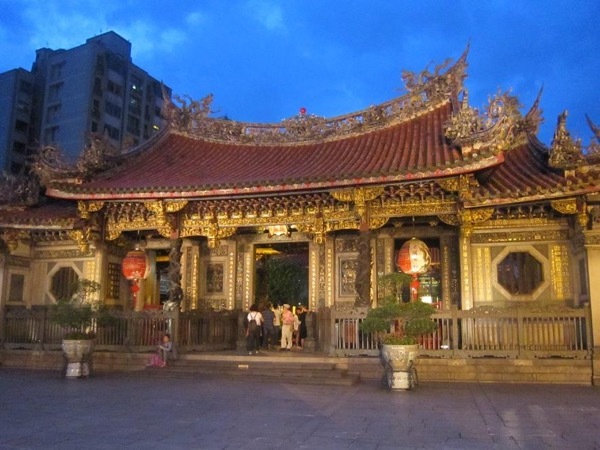 All mixed with local Taiwanese, Chinese and indigenous culture. Best months for a visit are April/May and October/November, outside the more muggy Summer months with the chance of a number of typhoons (literally our 'big winds', also named cyclones or hurricanes) and tropical storms when, for about a week at a time, bright days may contrast with heavy rain and powerful gusty winds. Expect rain in the North during fall and winter, in the South during spring and summer - brought by the trade winds. 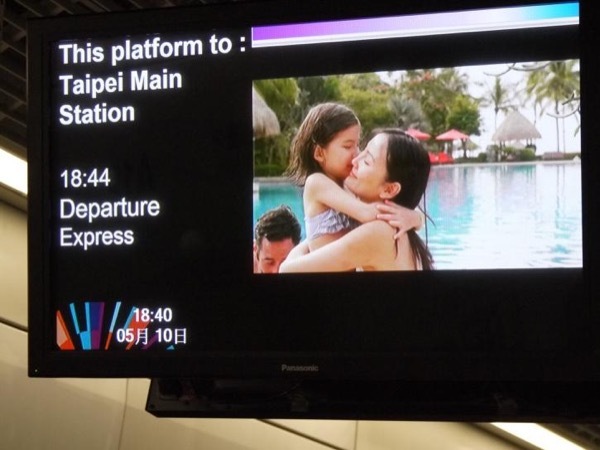 Busy travel time on the island is during Chinese Lunar New Year in January or February, and during the national holidays on and around 1-10 October. 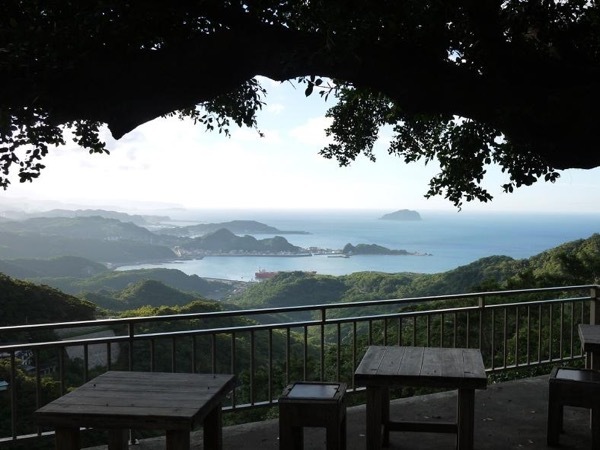 More than two-thirds of the island is covered by five forested mountain ranges and deep and steep valleys, leaving the Western side to be inhabited by 23 million people. No wonder greater Taipei with 8 million inhabitants has one of the highest population densities in the world. 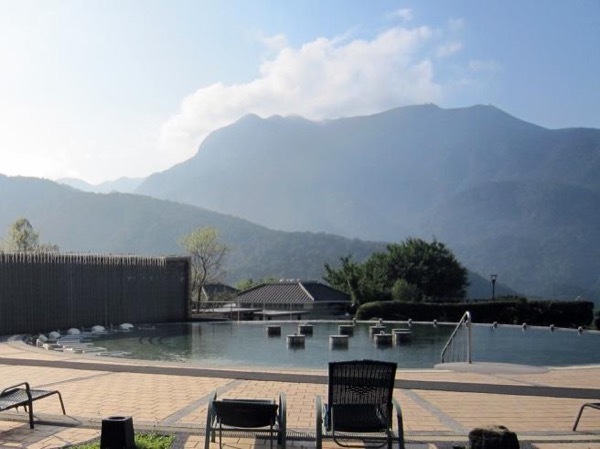 Yet, just North of the city you can easily relax in the hot springs of Yangmingshan National Park and marvel at the rocky coast of Yehliu Geopark. 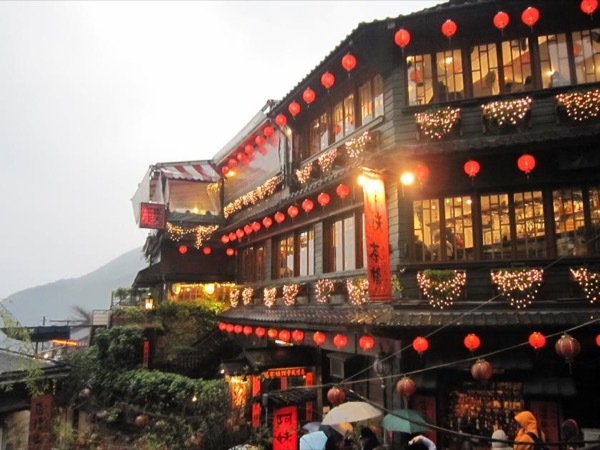 Or enjoy the tea plantations and panorama view of the city at Maokong, or see the coastline from a Jiufen tea house near Keelung. 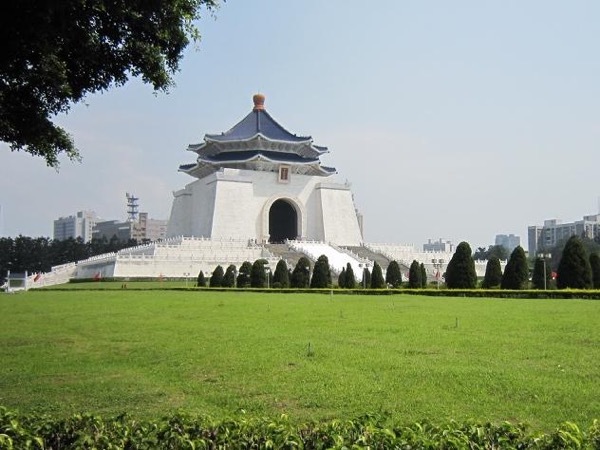 I can make you feel at home in Taiwan, show you a local view of the culture, cuisine, and history in arranged customized trips, and tours in English. Together with Jan, my Dutch husband, who lived in Oregon in the US and various places around the world before settling in Taiwan. His support in basic German, French, Spanish or his native Dutch help you to make the best of your and our time together. Arriving on a cruise? 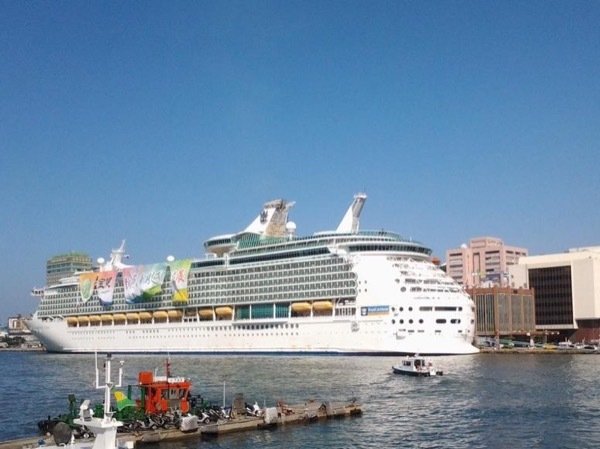 Then you may choose one of the tours starting in Keelung, to see the coast, Taipei, and sample delicious food in our night market when your ship stays overnight. Please remember that all trips are private and can be customized - no other fellow travelers will join unless requested by you in advance. Check out the maps in my photos for inspiration for a customized tour. 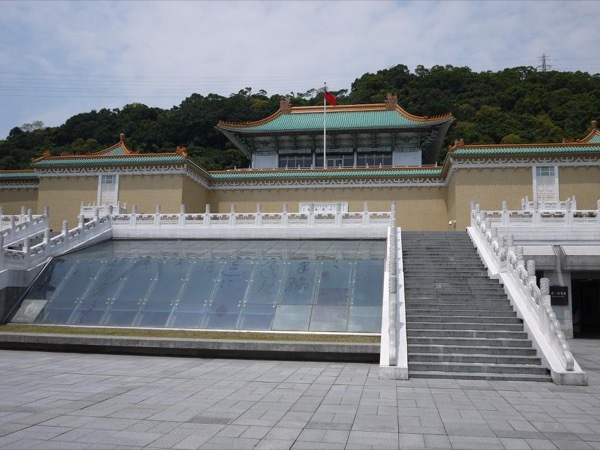 Taiwan Taoyuan international airport (TPE) on the west coast and Keelung cruise terminal on the east coast are each about one hour away from Taipei. The Songshan international airport (TSA) in the city center serves some regional and the few domestic flights. You can check my availability by browsing any of my detailed and flexible published tours, which I'd be happy to customize for you. Let me know how I can be your guide! Taiwan will touch your heart. . . If I could give this a 10 star reading, I would have done that. Christine and her husband did an amazing job showing us around Taiwan. 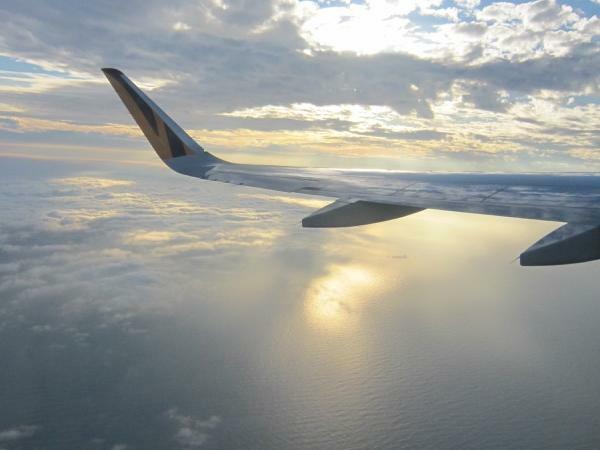 We learned so much and they were extremely accommodating when it came to the itinerary. You cannot go wrong with booking this tour. Taiwan Tourism Bureau English licensed tour guide and tour leader. Port lecturer on Diamond Princess cruise, November 2009. 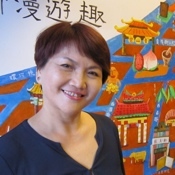 Tourism lecturer at Tamkang University Langyan campus in Jiaoxi, Taiwan. Master's degree Thunderbird School of Global Management, Arizona, USA. 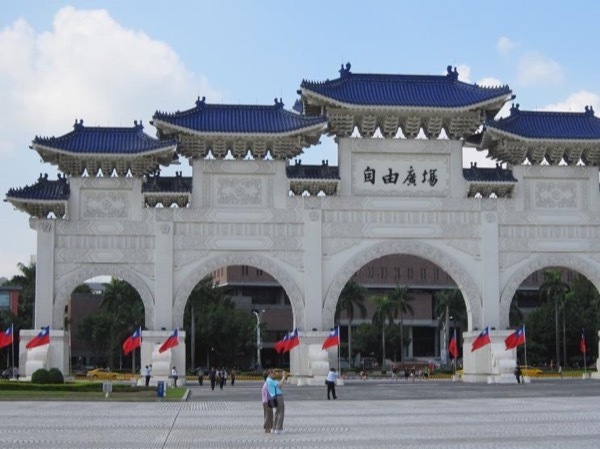 Bachelor's degree, National Chengchi University, Taiwan. Driving and guiding must be kept separated on Taiwan's busy roads, so my trips are offered with a local agency and professional drivers. Regular hours are from 9 to 5, at other times and for extra actual time surcharges may apply.